For the person who has everything, they probably don't have Rudy, the Tikihead tissue box holder! A fun gift and definite conversation starter! 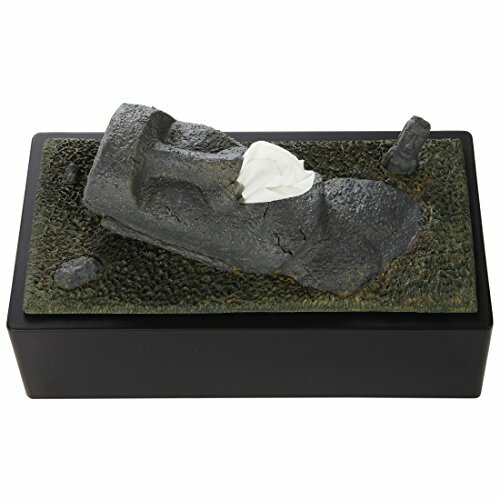 Holds standard size tissue boxes- Rudy's black base measures 10" x 5" x 3" and the Easter Island-style face is a antiqued green attached on top. To use simply pull the tissues down through Rudy's nose! 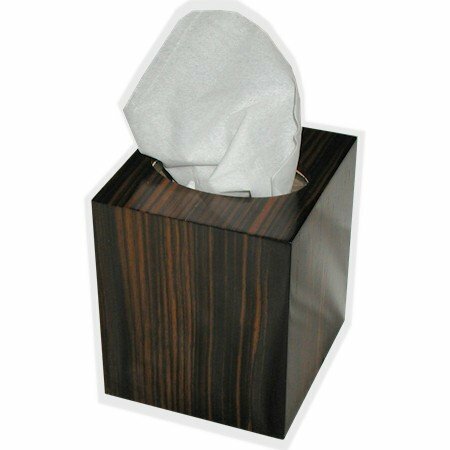 Tissue Box Covers are ideal as gifts or even for your own home or office. They can be wall mounted or placed flat on a table. Made with polyresin. 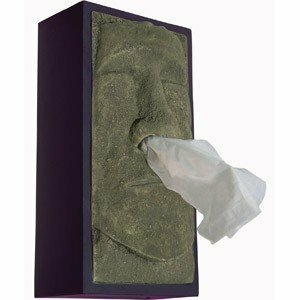 Add some humour into your tissue box through the varied designs and faces. Description Brand New. Tiki Head Tissue Box Holder Too cool for any retro decor here is Rudy, the Tikihead tissue box holder A fun gift and definite conversation starter Truly great for the person who has everything Made from quality materials Fantastic detail and design Dimensions: 10" x 5" x 3" For the person who has everything, they probably don't have Rudy, the Tikihead tissue box holder! A fun gift and definite conversation starter! 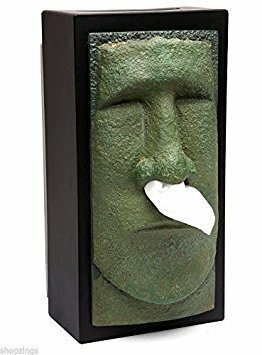 Holds standard size tissue boxes- Rudy's black base measures 10" x 5" x 3" and the Easter Island-style face is a antiqued green attached on top. To use simply pull the tissues down through Rudy's nose. Cold & flu season sounds so horrible. Full of memories of those days spent in bed with a fever, chills, cough, and sniffles. Yuck. Who wants that? About the only bright side to being home sick is getting to play lots of video games (assuming the glow of the TV doesn't give you a headache). But what if you got this Tiki Tissue Box and called it Polynesian season? Wouldn't that be more cheerful? "Sorry Lumbergh, it's Polynesian season and I didn't get my BBQ pork shot, so I'll be at home for a few days. All my unfinished TPS reports are on my desk." 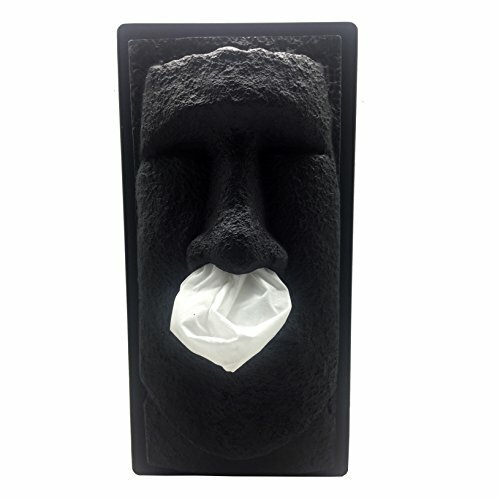 Just pop your standard, boring tissue box into this Moai container and let the mucus party begin! 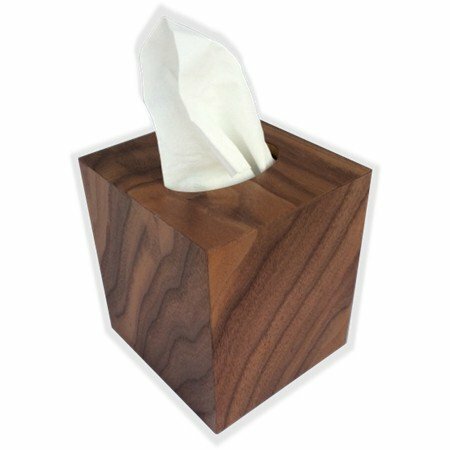 Tissue Box Cover In American Walnut "Swirl" Wood - Boutique Square Cube Size. 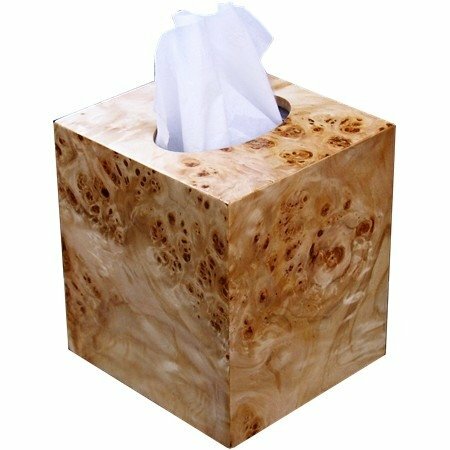 Wooden Tissue Box Cover in Exotic Mappa Burl wood Boutique Square Cube Size. 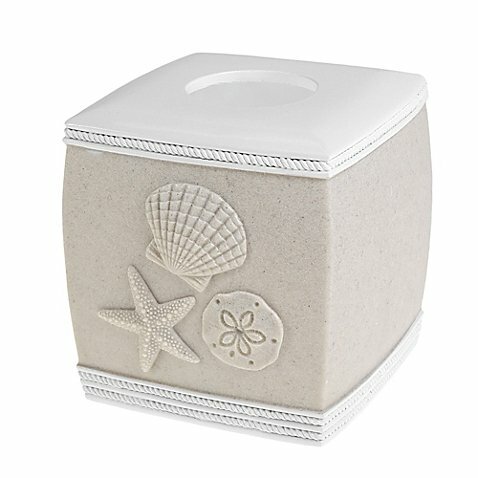 Channel your love for spending summers by the ocean by bringing some beach-inspires style to your bathroom with the Seaside Bliss Tissue Box Cover. The accessory gives your home a beach-house ambiance that you can enjoy year round. 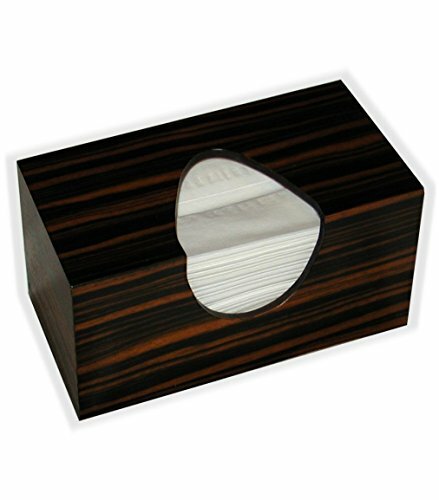 Tissue Box Cover In Black Striped Ebony wood - Square Boutique Size. 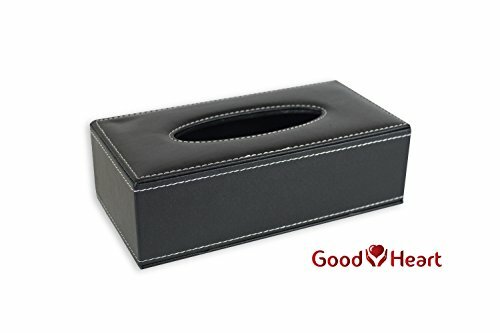 Compare prices on Tiki Head Tissue Box at ShoppinGent.com – use promo codes and coupons for best offers and deals. Start smart buying with ShoppinGent.com right now and choose your golden price on every purchase.